No more overheating. 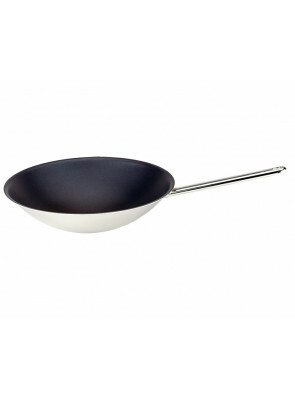 Even at maximum force, the wok regulates the temperature (max. 250°C/485°F). Many consumers and chefs often have problems finding the correct temperature for frying meat or fish or for making pancakes. When the food is overheated, it burns and sticks to the bottom of the pan. A product with a non-stick layer prevents the food from sticking, but at specifically high temperatures, the coating will disintegrate and loose its non-stick properties. Demeyere produced the first woks with the ControlInduc system that limits the maximum temperature to 250°C/485°F on induction cookers. Even at full power, the wok will regulate the temperature. Up to +/- 220°C/425°F, this product, incorporating the ControlInduc system will heat up normally like any other wok, but above that temperature the energy of the inductors will gradually decrease and stabilize somewhere between 245°C/475°F and 250°C/485°F. Then, it automatically adjusts itself as to how much power is required to keep this temperature or to compensate for the heat lost in the air or the food. With the woks with flat base 32cm/12.6" and 36cm/14.2" you not only stir-fry but also steam, deep-fry, fry or even just boil. 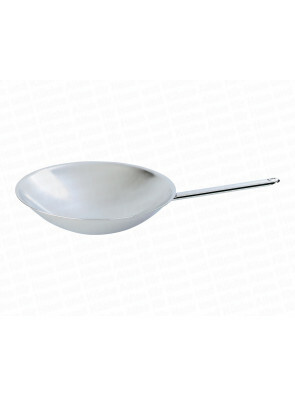 All woks with controlinduc have a round base. These can only be used on gas or induction heaters with adapted mold. They cannot be used on flat induction fields (even with the gas ring art. no. 9900 it will not work! ).